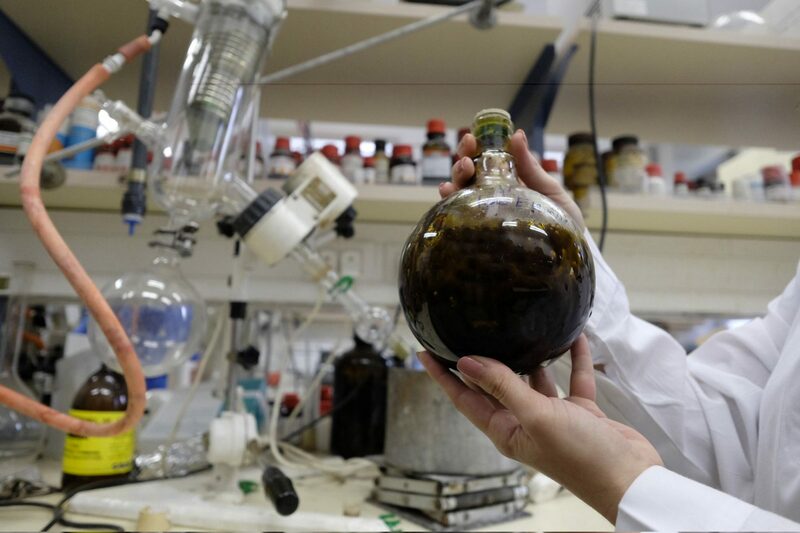 Israeli researchers have explored the plant’s seemingly limitless beneficial uses for decades while the US remained stubbornly in a prohibition dark age. As the United States struggles with the basics of cannabis research, such as providing proper cannabis to researchers, other countries have leapt ahead. One of the foremost is Israel, where many in the marijuana field believe the most innovative research is happening. That’s due in large part to Raphael Mechoulam, a biochemist and professor at Hebrew University in Jerusalem. He played a major role in finding the basic chemical components of marijuana. Mechoulam began research on medical marijuana in the 1960s. Part of a family that left Eastern Europe for Israel in 1949, Mechoulam earned a doctorate in Israeli and did postdoctoral work at the Rockefeller Center in New York. In the 1960s, he picked cannabis as a research topic after getting a junior faculty position at the Weizmann Institute in Rehovot. Looking back at older research, he was surprised to learn that no one had every isolated the active constituents of cannabis in pure form. He set out to do just that, even though marijuana was illegal at the time in Israel. Part of the reason Mechoulam moved forward with his plan to conduct cannabis research is because he didn’t know any better. In the interview, he said he was blissfully unaware that marijuana was a taboo research subject. He went to the administrative director at the Weizmann Institute and asked if he knew anyone with the police. The director, after realizing that Mechoulam “was not trying to settle some minor traffic ticket but was requesting starting material for research,” called the head of the investigative branch at police headquarters. What happened next is well-known in the marijuana industry. Mechoulam and other researchers isolated CBD and THC in marijuana, leading to more research on the psychological and physical impact of both on humans. By the 1990s, there was government-backed research in Israel, decades ahead of most other countries. While not the only country ahead of the U.S. in research, Israel is certainly considered the one that is the farthest ahead. And with the European Review of Medical and Pharmacological Sciences reporting advances in marijuana research in Italy and other European countries, the U.S. runs the risk of falling even farther behind. Maximize your brand’s exposure with these easy-to-implement tactics. 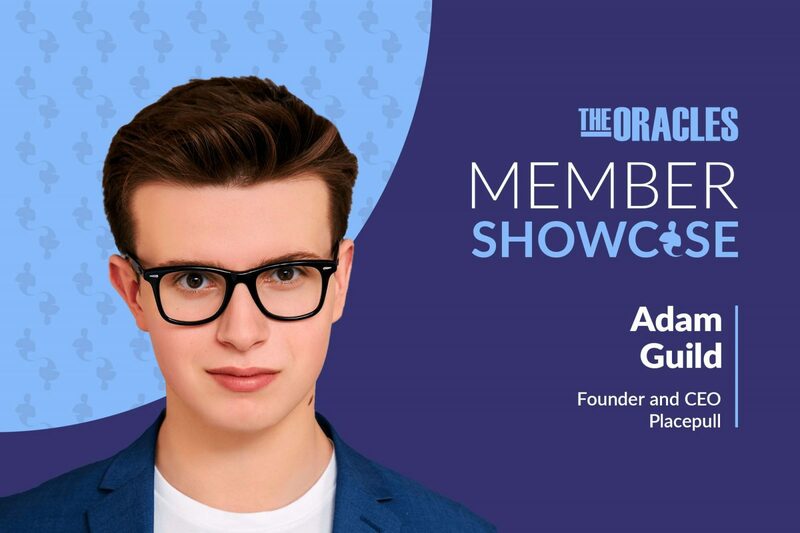 In this series called Member Showcase, we publish interviews with members of The Oracles. This interview is with Adam Guild, founder and CEO of Placepull, a technology company revolutionizing local business marketing, starting with restaurants. It was condensed by The Oracles. What was a defining moment early in your life? Adam Guild: Starting at around 12 years old, I went through an extremely painful time. I was still coping with my parents’ divorce and was rejected from the school I wanted to go to. I was bullied relentlessly at my new school, had zero friends, and became more and more overweight. I felt alone, helpless, and hopeless every day. But in retrospect, it was the most empowering time of my life. I focused on building businesses and developing myself. When I was 12, I launched a social network at my school because we weren’t allowed on Facebook. A year later, I started a company that facilitated multiplayer experiences for a game called Minecraft. That was the only area in my life where I felt like I was valued and making progress, the one part of my life that relieved my pain. Entrepreneurship soon became an obsession. I promised myself I would do everything in my power to create the life that I wanted — and my whole life changed. I learned to accept pain for what it is: the best catalyst for progress. Adam Guild: I am world class at understanding the feelings of others, communicating useful ideas effectively, and influencing others’ decision-making processes through deep empathy. I never had natural social skills, which was a huge weakness and source of pain for me. As a result of my social awkwardness, I was often mocked and excluded. This pain sparked a deep desire to better understand others and communicate effectively. I realized this was critical to my mission: improving the world and empowering others. I developed an obsession with psychology, the science of communication, and decision-making processes. I’ve read hundreds of books on these topics and studied them for thousands of hours. The more I learn, the more I realize how important this is. Adam Guild: We have the privilege of empowering our customers to meet their goals and improve their lives. Every day, we get to help restaurant owners progress toward their dreams. We’ve had many customers around the U.S. over the past year, and we’ve never had anyone cancel our service. I’m very proud of that. Adam Guild: “Zero to One” by Peter Thiel and Blake Masters. Their masterpiece gave me a better lens through which to view life, the economy, and business. It dispelled myths about the business world — like the idea that competition is good for business — and emphasized the importance of sales, patience, and other underrated aspects of building a business. The book was so formative and beneficial, I’ve read it cover to cover 14 times and continue to reference its wisdom while building my business. What was your biggest challenge starting in business? How did you overcome it? Adam Guild: Striking the balance between being patient and operating with urgency. I’m often frustrated with the rate of progress in my business. It feels like we’re not growing and improving fast enough. I overcome that frustration by analyzing our progress every week or month, rather than judging how each day feels in the moment. That sense of urgency accelerates the speed of our progress, so it’s a requirement for continuing at an optimal pace. At the same time, it’s good to step back and accept that it takes time to build valuable things. That builds perseverance in the face of challenges. Adam Guild: Great leadership is the discipline of empowering and uniting a group of people to achieve worthwhile ideals. It requires making the best strategic decisions with the information available. There’s constantly a balance between persevering through challenges with your original strategy or adapting to achieve your goals. Once great leaders make a decision, they effectively communicate its importance to the team, uniting them to implement it and empowering them throughout the process. How do you evaluate a good business deal? Adam Guild: I have a pragmatic and simple process. First, I list all the relevant information about the benefits and costs. Then I calculate the financial and strategic consequences of each. Next, I create a simple Google Doc with two columns: pros and cons. I list each point and its expected outcome in one of the columns, anticipate the consequences of my decision, and highlight the side of the chart that makes the most sense strategically. Finally, I write a clear “why” statement at the bottom for reference, including my decision and the rationale behind it. What’s your daily routine for success? Adam Guild: My daily routine starts the night before when I create an agenda of everything I must accomplish the next day. I only sleep when I accomplish what I set out to, so my waking hours and schedule often vary. When I wake up, I ask myself empowering questions and stimulate my body with physiological and breathing processes. I thank God for another day, for the opportunities and blessings in my life, and for everyone I know and love. I have several other daily “must-dos”: I must exercise for an hour, meditate, and read because my goal is to read 182 books every year. The rest of the day, I make progress toward my mission by working on my business and helping others I care for and admire. Then rinse and repeat, 365 days a year. Adam Guild: I lead Placepull, a marketing technology company that helps restaurant owners increase their revenue. We specialize in getting them new customers. Our team is united by a passion for empowering business owners to achieve their goals because we believe they are heroes in their local communities. Once we achieve market saturation in the restaurant marketing industry, we plan to expand and help other local businesses with similar characteristics. Adam Guild: Improving the quality of life of all living beings, reforming the education system to better empower people, and helping solve many of the inequities in our world. Connect with Adam on LinkedIn or visit his website. 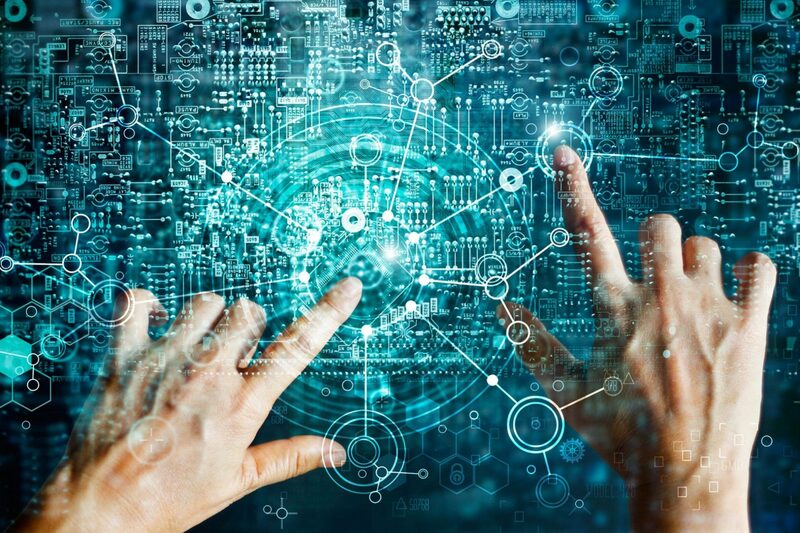 In my experience in banking, more than three-quarters of business plans that come with projection-based applications fall short in one or more key areas. Many of the plans I see consist of a few pages of hastily produced bullet points, falling well short of the detail and color about the business that banks need to make a credit decision. Business plans are critically important for startups, high-growth companies or buyers seeking to finance the purchase of a business. In fact, they are a useful planning tool for any business, but especially for startups since they have no financial track record for a bank to examine. Established companies that are planning for accelerated growth often need working capital, equipment or real estate financing to keep growing, and they need a solid business plan that identifies what will drive the planned growth and shows that their plan will result in adequate cash flow to assure repayment of the requested loan. Businesses seeking loans to acquire other businesses (or individuals looking to buy a business) will need a thorough plan to describe the new ownership, and how they’ll successfully manage the firm, and what they see as their market opportunities and key clients. A business plan is for the bank and your team. Having a business plan is not just part of a bureaucratic check-list to secure a loan. Rather, the business plan can be a guiding document for the enterprise — one that communicates critically important facts and ideas to management teams and employees. Writing the plan can be a crucial exercise in helping owners to think through the details as they plot their business’s future. To get to a “yes” on a loan request, banks need enough detail to be assured that your business will have enough profit and cash flow to service the debt. The plan should flesh out precisely how a company will attain its revenue goals and expense estimates, and how it expects to succeed over the long term, not just the next couple of years. It’s not enough to say “the total market for our service or product is $100 million, and we expect to get 5 percent of it.” Your banker needs to know exactly how you plan to achieve that revenue level by describing key relationships and how they will be converted into clients. The business plan should also provide a detailed analysis of the anticipated costs of operating and should consider the effects of economic and market trends. If your local job market is tight, for example, you should say so (your banker likely already knows), and say what your plan is for hiring employees and how that will affect labor costs as the company grows. The real point of the plan is to identify your key assumptions and provide the thought process behind them. The plan should also outline the company’s marketing strategy in as much detail as possible. Before committing capital, a bank wants to know how the business proposes to market its products or services and the specific opportunities that it is trying to fill. The plan should answer the questions: What is the need for the company’s products or services in the area, and how will the company get its message out? To approve a loan, banks want to know that owners have the right background and experience to make the business work. That helps to assure banks that the projections have been thought through and can be successfully implemented. Different types of businesses call for different skills. An owner with a lengthy resume as a manager in a big firm may not have the ideal experience to start a restaurant. If the business is in a high-volume, low-margin industry, banks would feel more comfortable with an owner who has proven experience in managing costs. For business acquisitions, it is important to provide details on the plan for management transition. Depending on the type of business, small details about its physical location can be surprisingly important. If you are a breakfast café or coffee shop, you want to be located on the side of the street that people use for their morning commute. If the business is a road-side restaurant relying on passing drivers, it needs to be easily accessible for cars. Even for “destination” businesses that attract customers based on their reputation, location can be important. If you are a high-end hair salon, you don’t want to set up in a down-market strip mall. The plan should identify the location and why you believe this location supports your business model. For entrepreneurs who lack the time or expertise to craft a business plan, there are two options backed by the SBA that provide expert assistance to small businesses free of charge or at very low cost. One is the Service Core of Retired Executives (SCORE), whose experienced volunteers will help clients ask the right questions needed to formulate a plan. The other is Small Business Development Centers, which have a variety of useful databases and systems to help in the planning process. Remember, unlike investors, the highest priority for banks when lending is to ensure a return of capital, not a return on capital. With the right plan and demonstrated financial capacity to repay the debt, the chances of obtaining needed financing will go way up. You can use AI to increase customer retention, NPS, sales close rate and pre-qualify leads. It’s hard to know where AI will be in a decade or two. But, it’s already playing a big role in many business’ daily operations. It can play a big, beneficial role in your business as well, now and well into the future. Here are four ways. Emotion AI, also known as affective computing, is an iteration of AI capable of detecting human emotions and responding to those emotions accordingly. And while it’s not perfect yet, the technology is staggering. One study from the University of Ohio claims that AI is now better at detecting emotions than humans are — a remarkable feat considering our millions of years of evolution for that sorta thing. I believe these emotionally intelligent bots transform your business operations, and this is why I have created an AI startup that is rooted in this technology. Imagine being able to collect the emotions of a viewer watching a video online, or using email sales sequences, messaging bots, and even customer support telephone options that adapt automatically based on the users emotions. How would that change your business? What if you could trigger the right emotions at the right time? Efficiency is perhaps nowhere more important than in customer support — the place where people want answers and they want them right away. And while pleasing those needy customers might seem like a business revenue afterthought, it isn’t. I’ve used companies like Forethought, for instance, who are leading the charge into customer support AI products with their flagship answer recommendation tool, Agatha Answers. Designed as a plug-in enterprise solution that can be installed in two days and improve customer support time-to-resolution by up to 30 percent, Agatha gained widespread attention as it propelled Forethought to victory at the 2018 TechCrunch Disrupt Battlefield. With 33 percent of Americans citing poor customer service experiences, reported by Business Insider, as the only motivation required to jump ship, clearly, AI has a significant role to play in the future of the customer service industry. AI is making big splashes in business-to-business (B2B) sales and lead generation. Harvard Business Review reports, for instance, that businesses which use AI can reduce call time by up to 70 percent and increase number of leads by 50 percent. Additionally, one source believes that 85 percent of sales-related tasks could be outsourced to the robots by 2020 (without a loss — and likely an improvement — in close rate). Take LeadFuze, for example. This tool is an AI-based product focused on sales improvement, and finding the right customer segment and lead. It is the first and only lead generation software tool of its kind that combines data aggregation from multiple trusted sources while offering unlimited access and complete list building automation. I use this product and it means that we spend less time on prospect research and contact gathering and more time on actual sales conversations. Insights-focused businesses, like LeadFuze, are projected to pull in more than $1.2 billion annually by 2020. And that’s for good reason — businesses like mine benefit from that kind of automated lead-generating intelligence. Recruiting the right talent for your company can be a frustrating experience. Massive online search engines for jobs like Indeed or Monster can help source candidates, but many times, parsing the thousands of potential applicants is an exceptionally time-consuming task. Fortunately, AI products can offer some assistance. According to a survey of 1,000 C-Level executives of large companies performed by Eightfold, 78 percent of surveyed businesses cite talent programs as “very important,” but only 44 percent say that the one they use is effective. Evidently, there is significant room for improvement with talent curation, something that Eightfold’s AI-based solution is intent on providing. Called their “Talent Intelligence” platform, Eightfold’s AI product delivers a talent pipeline that reduces the time from engaged candidate to interview, curates relevant candidate lists, eliminates bias with blind screening, and drives attention with internal mobility among other features. All relevant data perspectives can be ported into a single interface, making the entire talent process much more manageable. After all, the faster and easier you find the right people for your business, the bigger, more successful business you’ll be able to build. 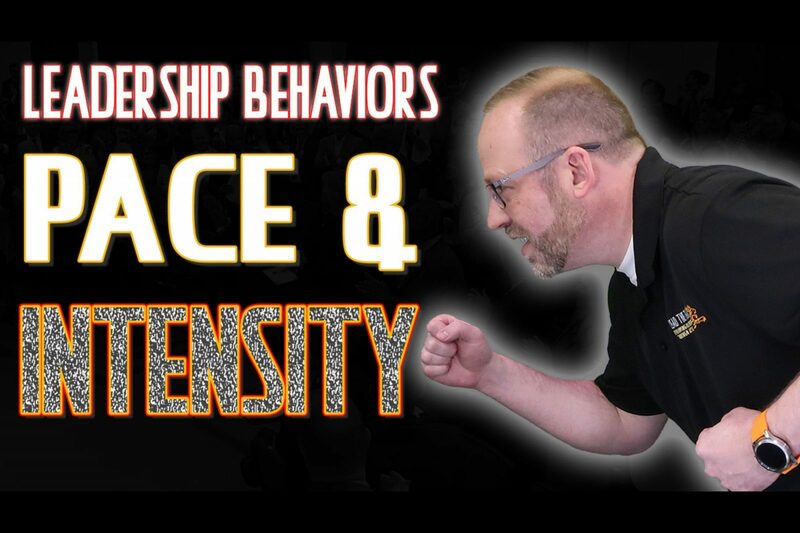 In this video, Entrepreneur Network partner Mike Phillips explains two key leadership behaviors: pace and intensity. Phillips points out that successful people often have high energy and move quickly. They’re often intense, and Phillips recommends a few tips that can improve the pace and intensity in your life. In business, working on yourself is integral to getting better in your business. Start by gaining knowledge and confidence in your abilities. Then, focus on training your employees. Related: Are You Properly Focused on Your Goals? 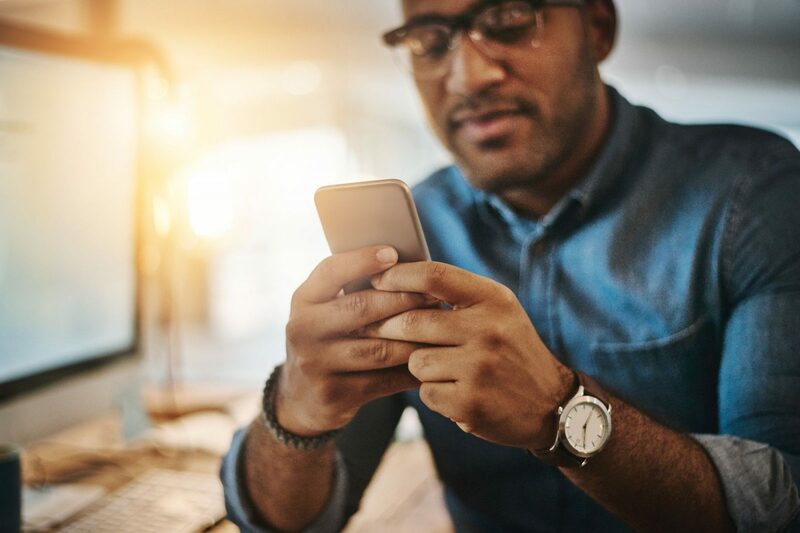 If you’ve thought about building an app for your business in the past, these five reasons might be enough for you to finally make that happen. We all use ’em: They’re the lifeblood of our smartphones, the gadgets that keep us staring at our screens and even using our thumbprint to make quick purchases. I’m talking of course about … mobile apps. For many businesses, mobile apps represent an opportunity for serious growth. 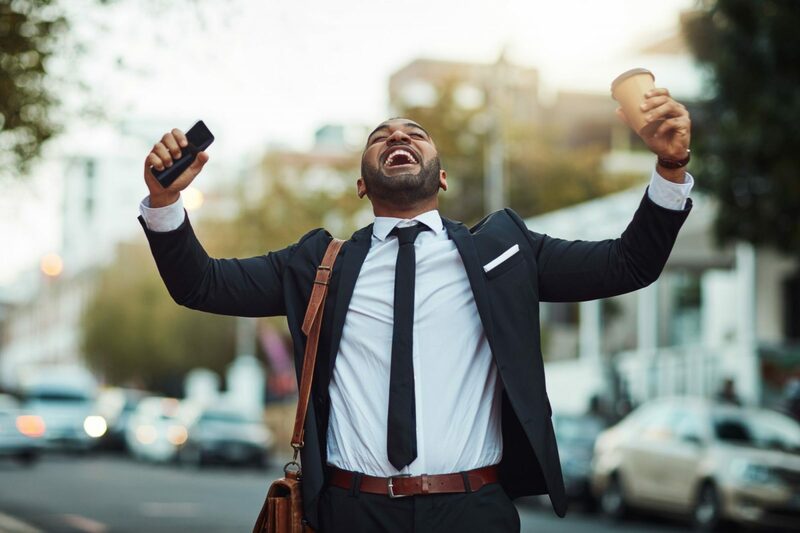 Tools that enable a better user experience, push-notifications, more consistent communication with customers and quick payment options are already making many businesses loads of money. Amazon and Facebook are two typical examples. But there are also many smaller businesses (B2C, B2B, SaaS, PaaS and others) building (and benefiting from) mobile apps. So, should your business join them? Should you too build a mobile app? Here are five data-driven reasons why you might want to do just that. 1. The average cost to get a user to install an app is just $2.89. Advertising is one of the largest overhead costs for businesses, especially for startups trying to establish themselves as the go-to provider in a given industry. Fortunately for startups that have built and optimized mobile apps, the average cost to get a user to install that app is just $2.89, according to the 2018 Mobile App Engagement Index. That cost, of course, is usually just the first step in a larger sales funnel. But once someone has installed your app on a smartphone, he or she can visit that app over and over again — bringing your business free attention and maybe even sales. Here’s how Eric Wise, president and co-founder of ISBX, a company that builds mobile apps for other brands, explained it to me in a recent email: “The wonderful part about building a mobile app for your customers and prospects is that, once installed, those people can continue to use your app, see your brand and interact with your business day-in and day-out without any further advertising,” Wise wrote. 2. The average smartphone user has 80 apps and uses about 40 of them every month. Mobile apps are nothing if not intertwined with most Americans’ daily lives. There’s even a word, now, for the fear of being away from one’s smartphone: nomophobia. It’s no surprise then, that by 2021, the number for total mobile app downloads is expected to reach 352.9 billion per year, according to a Business of Apps report. That’s a lot of downloads … and a lot of opportunity for the businesses that create and optimize those apps to create conversions. Plus, the average smartphone user doesn’t just download those apps, he or she uses almost 40 of them every single month, according to an App Annie report. The point is, people — your customers — love downloading and using great apps. And since you want to get in front of them, you might as well be where they’re already looking. 3, Consumers spent $100 billion on or in mobile applications in 2018. And that’s a great question: The answer? Anecdotal evidence shows that many of us don’t feel that we spend much money at all using or purchasing mobile applications. But while that might feel like the case, it isn’t true. In 2018 alone, consumers spent $100 billion on or in mobile applications according to App Annie. And mobile app consumer spending increased by 75 percent in 2017 and 2018, to $101 billion, according to the same source. Of course, some apps are more suited to consumers making purchases than others are. Amazon’s shopping app, for instance, generates much more revenue than Gmail does. But that’s because one directly sells products while the other offers a free service. For those who build their app to generate revenue, there’s plenty of opportunity. People in today’s world have a smartphone in their pocket or purse, a tablet in their backpack and a laptop on their desk. And the average person alternates among these devices for different purposes. In fact, the typical U.S. household has five of these smart devices, according to the Centers for Disease Control and Prevention. In a finding that again illustrates people’s varied use of devices, 83 percent of people surveyed counted a seamless experience across devices as “very important” for businesses they work with, according to an overview of data by Toptal. And while having a mobile app solves just one piece of that pie, it might be the biggest piece, considering that 85 percent of households surveyed had two smartphones and the average person polled reported spending nearly three hours on their phone every single day, according to another overview, by Hackernoon. 5. Ninety percent of people polled who described a mobile experience as “helpful” would purchase from that brand again. Here’s the reality: Not all mobile apps are created equal. While some of these apps create a remarkable user experience, others leave us confused and frustrated. For the latter, the result is usually an app that users quickly delete. Yet seeing their poor-performing app deleted isn’t a company’s only concern; 90 percent of people, according to App Annie, who described a mobile experience as “helpful” would purchase from that brand again and — same source — 62 percent of people who had had a bad experience on mobile said they were less likely to purchase from that brand in the future. This means that if you do create a mobile app for your customers and/or prospects, quality is king. Big businesses and small businesses alike use apps to generate leads, convert prospects and upsell customers. And the above five data-driven reasons prove just how powerful building a mobile app for your business could be. Just make sure that that app you build is one people want to use. When someone wants to learn more about a business or find a product, their first step is usually a Google search. That’s why getting your store to show up in Google search results should be a top priority for any business owner, especially those with brick and mortar stores. Marketing data accumulated by Hubspot reveals that 28 percent of searches for products “nearby” or “near me” lead directly to a purchase. An incredible 72 percent of local searches result in a consumer visiting a store within five miles of their location. As such, improving local SEO so your business shows up in these searches will have a significant impact on your bottom line. One of the best ways to improve your SEO (especially locally) is by acquiring more Google reviews. Of course, Google reviews don’t just help you show up in search results — they also have a direct impact on customer decision-making. A 2019 survey by BrightLocal found that “91 percent of 18-34-year-old consumers trust online reviews as much as personal recommendations,” with over half not using businesses with less than 4-star ratings. Needless to say, gaining positive Google reviews could easily make or break your business. Here are some strategies to get some momentum. 1. Ask your customers how you’re doing. According to Search Engine Land, 70 percent of customers are willing to leave an online review if you ask them. Sounds easy, right? However, if you want to get reviews left on your Google My Business account, you need to ask at the right time — and in the right way. “Business owners should be mindful of ways they can ask for reviews both in-person and online,” Gregory Ortiz, founder of Digital Rooftop explained to me in a recent email. Business owners should use multiple touch points to ask customers for reviews, but be cautious to not come across as annoying or overbearing. Whether in an email, a phone call or even an app, make sure your request is short and polite. Your request will be even more appealing when you explain how feedback helps you improve your services. 2. Make it easy to leave a review. Customers can sometimes feel that leaving a review is too much effort — so don’t be afraid to simplify things for them. Quickly demonstrating how to leave a review can go a long way in encouraging customers to give feedback. When making your requests, remind customers that reviews can be only one or two sentences, or even just include a star rating. Of course, specific feedback will always be best for SEO rankings and your own evaluation of your performance. Sometimes, easy access to the review link can make all the difference. Copying the URL from your Google listing’s “Write a Review” button and embedding the link when you send an email request will further simplify things for your customers, making it far more likely that they will actually do so. You could even incorporate this URL link in your email signature, so it is automatically present as a call to action each time you message a customer or vendor. With more reviews, your brand becomes more prominent and more likely to appear in local searches. 3. Be responsive to your customers. 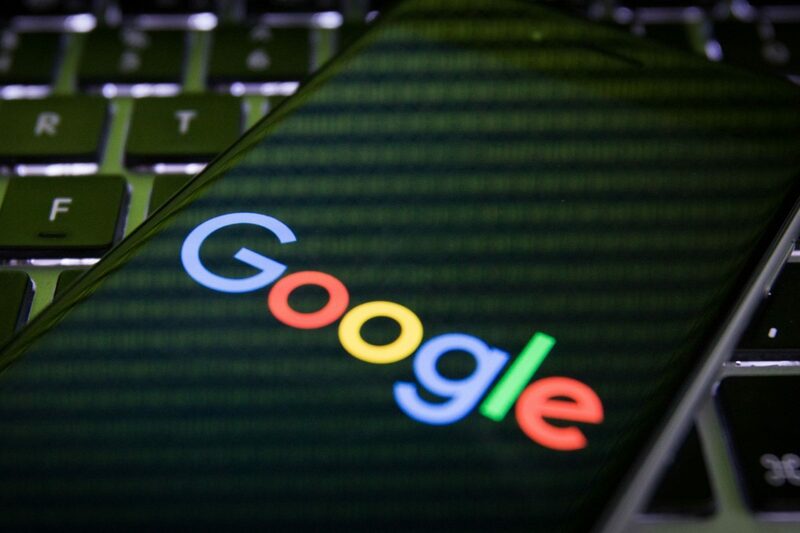 While increasing your number of reviews is a good start for enhancing your local SEO, Google will further boost your brand if you are engaging with your customers. You can’t control what customers say about your business, but you can control how you respond. This is especially important when dealing with inevitable negative reviews. A proactive, non-defensive response to a negative review can demonstrate your commitment to making things right for your customers. When done right, you can improve your services and the reviews themselves. A study by Mack Collier found that of customers who received a response to their negative review, 33 percent changed their review to be more positive, while another 34 percent deleted their negative review entirely. The right response can completely alter someone’s perception of your business! A study published by the Harvard Business Review further found that responding to reviews can increase both the number of reviews and a brand’s overall rating. The study, which focused on hotels, noted a 12 percent increase in reviews and a 0.12 star rating increase when the hotels actively responded to customer reviews. Getting customers to leave Google reviews for your business will require a continual effort on your part — but it is well worth the investment. As you generate more reviews, you will be able to create greater trust with flesh-and-blood customers and Google itself, helping drive new business to your site.